Coving.ie is an Irish based coving company. 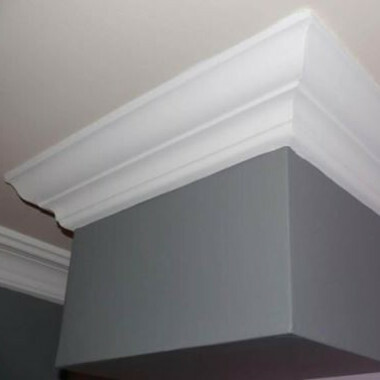 Based in Nenagh, Co.Tipperary, we supply and fit coving/plastermoulds, centre pieces, dado rails and more. Our coving company designs to specific needs and requirements. Our central location in Nenagh allows us to supply or supply and fit nationwide. We specilaise in new or existing homes, working with minimum disruption to your home or office. You don't pay until you are satisfied with our work! We also provide a supply only service at very competitive rates! We can deliver nationwide and depending on quantities, delivery can be free of charge! We would be very happy to offer free advise on instalation of cornice so nothing is left to chance! Coving.ie supply a wide range of coving products. We manufacture all coving products in our workshop and install throughout Ireland. Find the coving products that you want from by clicking the link below. We manufacture and install beautiful plaster ceiling centerpieces. 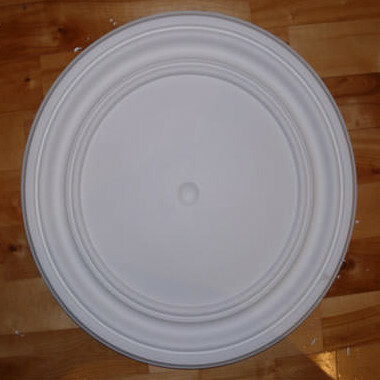 A center pieces (also known as ceiling rose) is usually a circular feature of moulded plaster which provides a frame for a light fitting or chandelier. Centrepieces can also be used to decorate a bare ceiling to give a room character. We were apprehensive about getting this work done as we recently had carpet fitted and didn't know how it would go, but they came and covered all the necessary areas properly. We were delighted with the job they done and they left our home as clean as they found it. Did a great job from start to finish. We were very happy with the way in which they carried out their work. Top quality finish and they even hoovered up afterwards. 5 star job!! Very professional company. A job very well done, very neat and tidy also which was important to us. Eamon is a fantastic worker who does a fantastic job would highly recommend him to anyone and an absolute great genuine lad all round. Couldn't recommend Eamon highly enough. Got this done on our ceiling, no mess, very professional outfit, highly recommend them.